Recreating celebrity styles is a favorite pastime of pretty much every fashion blogger, amiright? There are some celebs out there with serious style, so why wouldn't we try to recreate their perfectly styled looks? Because it's totally something I would wear! I love this look for this time of year... it's a little layered up which is so perfect for this not-quite-but-almost springtime weather. 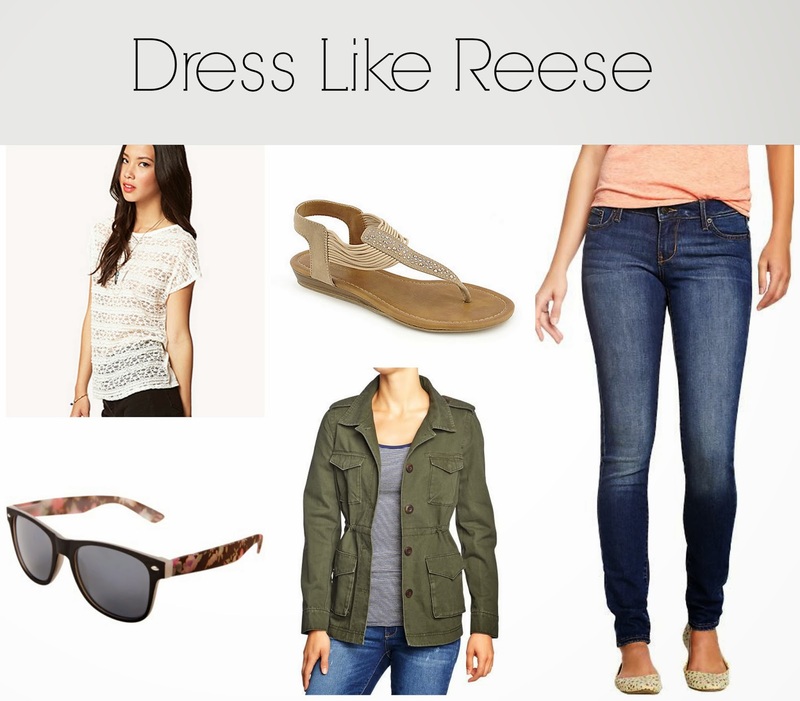 Here's how you can get a look like Reese for a fab price! And I can't leave out my plus size ladies! It can for sure be hard to find exactly what you're looking for in the plus size department because the selection is more limited. But online shopping can actually be AMAZING! Shops like One Stop Plus, ASOS Curve, and Old Navy Plus carry gorgeous, and on trend styles that you can easily find in bigger sizes. 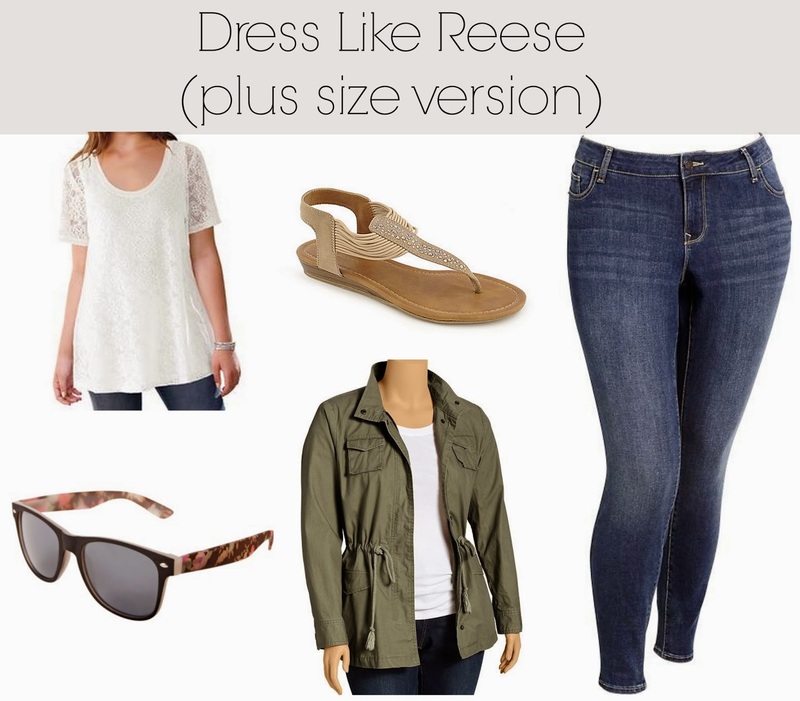 Here's how my plus size ladies can get a look like Reese! Who is your favorite celebrity to style-steal? This is an outfit I would wear too! I really want a utility jacket for the spring! I would definitely wear this outfit!! Love your new look. I also love Reeses's style. Thanks for the plus size version! Great post and I have to say, I love the look the little girl (who I am assuming is Reese's daughter) is giving the photographer. Ha ha that is cracking me up! Poor kid! Reese has great style and i love how you re-created her look!